That's right. Two nail posts in the same week. 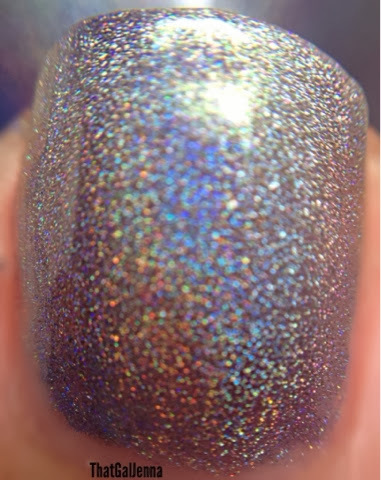 I have news for you polish lovers...I'll be posting a minimum of two polish posts during the week. And for you non-polish lovers (gasp!) I'll still be including my outfit posts and Things I Fancy Friday posts like normal because I want to share lots of things I love! So on this fine day I have a REAL stunner for you. 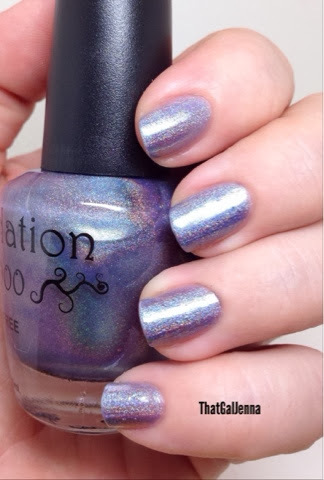 I mean if you love holographic polish, but haven't dipped your toes into the indie polish market, I recommend giving NailNation 3000 (USE THE CODE THATGAL20 FOR 20% OFF) a try. For those of you who are indie polish fiends, like myself, I'm sure you either have heard or own some of Maria's polishes already! Today I have Pomp & Power to share with you. Love that name. I want to start by saying I have a few variations of photos to show different numbers of coats. 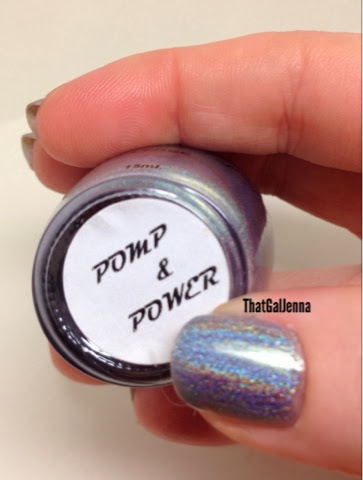 Pomp & Power is a subtle color shifting holo. I say subtle because the color shift isn't in your face. It all stays in the same family for the most part. If you want a stronger blue color in this polish then go with 3 coats. 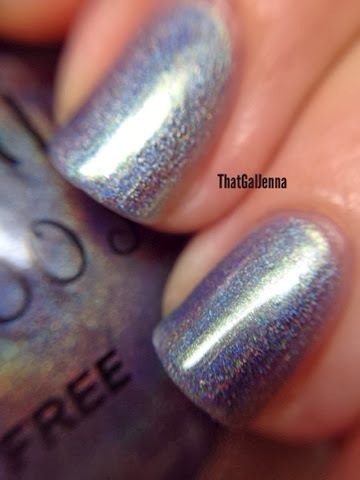 The holo isn't AS apparent but it's still very much there. Obviously! Three coats will give you a lavender/blue color shift. You want some "sunglasses needed" holo? Go with two coats on this one! If you want your paws to get noticed. Two coats. Two coats will give you a more prominent lavender and a subtle light blue. You'll see some hints of green in my macro shots too. 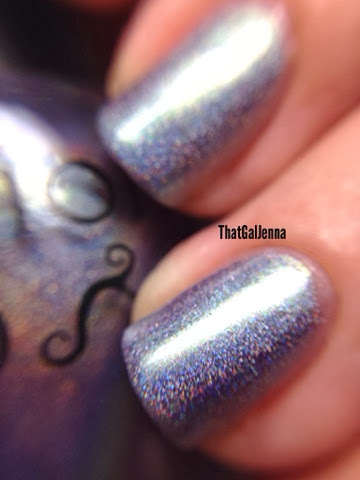 The holo is SO strong that my little camera was fighting to focus on the macro shot! Below are a few color shift macros. It's always fun to see them close up in all their glory so I included three! Two/Three - Easy formula to work with. The beauty of this polish is depending on what kind of color mood you're in choosing two or three coats is an option! Very intense whether you choose two or three coats. Make sure to swing by Facebook and follow NailNation 3000. Maria is awesome about keeping people up to date on happenings! Again make sure to snag a polish or two and use the code THATGAL20 to get 20% off your order! I'll see you tomorrow for Things I Fancy Friday!